Wish someone a "berry" merry holiday with this blueberry-packed gift! 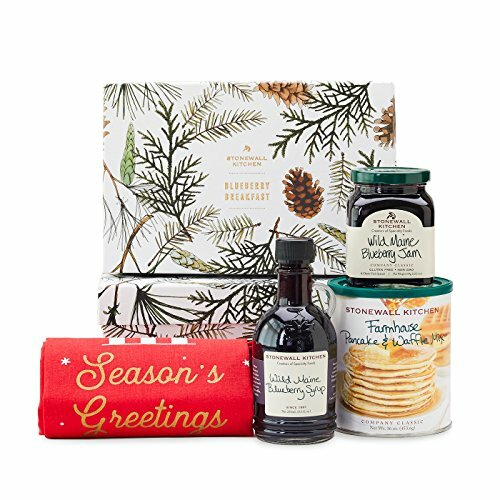 Featuring our best-selling jam and syrup both brimming with tiny, hand-raked blueberries from Maine, this collection also includes our classic pancake and waffle mix plus a cheerful tea towel for an all-in-one meal experience. Everything comes in festive, winter-themed packaging designed by our own in-house team.